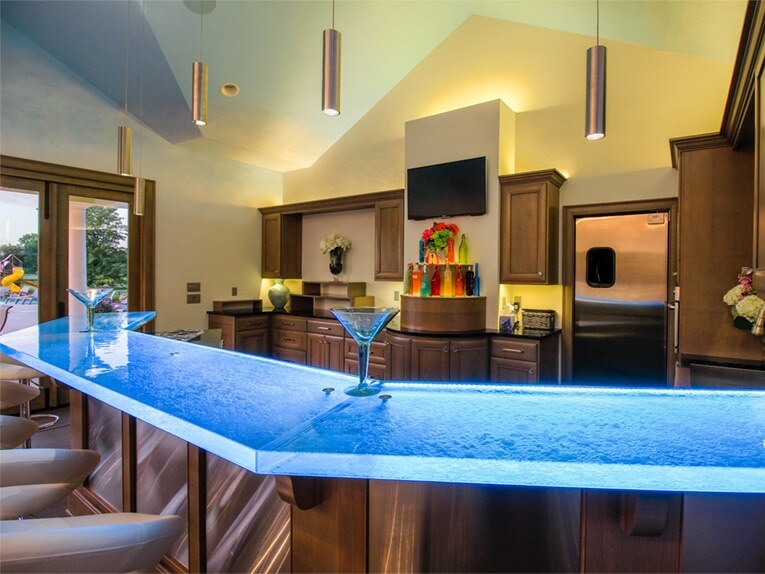 Set up your bar with a thermoformed glass countertop! 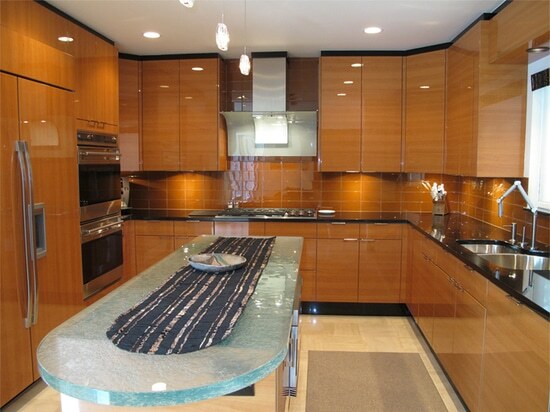 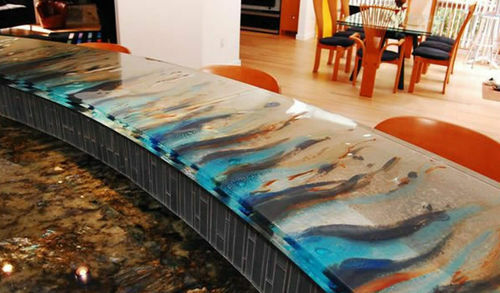 Versatile, our glass bar tops match with any interior decor. 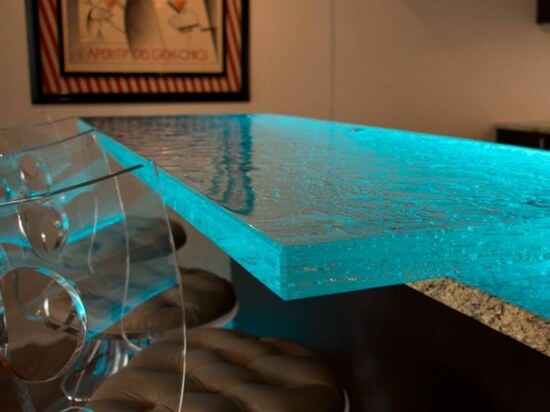 They are both sophisticated and a breathtaking beauty. 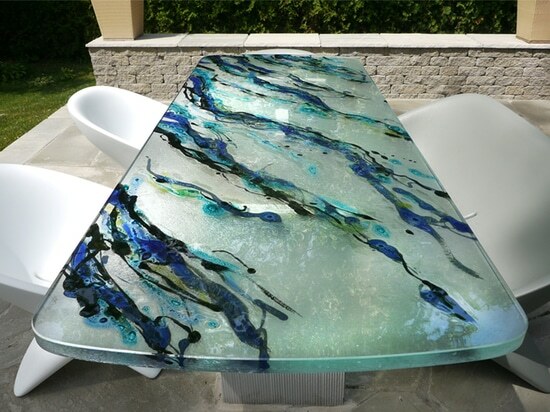 Isn’t this little thermoformed glass table top perfect? 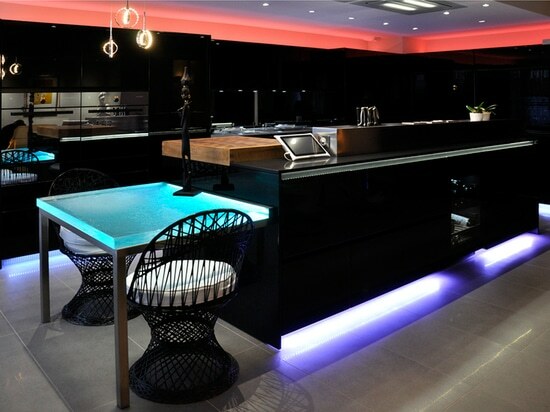 The addition of our LED lighting system complement this contemporary kitchen with elegance and offers a warm atmosphere.